The aim of the Channel Programme, developed and led by Ifremer Boulogne-sur-Mer, is to contribute to knowledge in support of the management of marine biological resources by developing a systemic, integrated, multi-partnership approach across the maritime area. Research work covers the description of habitats of living marine resources, understanding the function of the trophic network, quantifying the impact of human activities on those two components, and defining new management strategies for sustainable exploitation of marine natural resources. 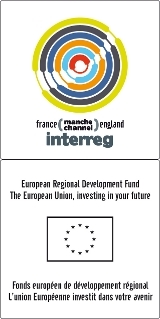 The aim of the programme is to render legible and available the information gathered, so that it can be integrated efficiently into public policies – that calls for an increased effort in terms of communication, transfers of knowledge, and exchanges of knowledge between the stakeholders involved.